At Dr. Energy Saver, we specialize in repairing and upgrading crawl spaces of all shapes and sizes. We install vapor barrier systems, crawl space insulation, drainage, sump pumps, structural supports, and much more! Since we opened our doors to business, our experts have upgraded thousands of crawl spaces across South Carolina, including in Mount Pleasant, Charleston, Simpsonville, Lexington, Columbia, Summerville, and the surrounding areas. To schedule a free crawl space repair quote, contact us by phone or e-mail today! Why should you seal & insulate your crawl space? Repairing a rotting, unhealthy crawl space is hard work -- and it's hard to find someone who's willing to crawl into that moldy, mice-infested space to do the job. If you do find someone willing to rip the damaged wood out and replace it in that dark, narrow space, you can sure it won't be cheap! The best way to avoid an issue like this is to avoid the problem in the first place by properly maintaining your space. With a few simple upgrades, you'll start saving money on your energy bills right away. You'll also enjoy warmer floors, experience fewer drafts, and will benefit from a healthier living space. Issues with crawl spaces are almost always avoidable, and are most commonly the product of poor building practices and "cut corners" during construction. The building codes that supported many of these practices are quickly being phased out in the past decade, as the evidence of the damage that results mounts. Outside air is rarely the kind of air you want flowing into your crawl space. It's damp in wet weather, cold in the winter months, and hot and humid during the summer. As hot, humid summer air enters a cooler crawl space, the humidity in the air condensates, collecting on insulation and wood surfaces. Wet fiberglass loses much of its insular quality, and becomes weighed down -- sagging and falling down from the joists in useless heaps. In the winter, the cold air that enters a crawl space will affect your HVAC system, air vents, water heater, and hot water pipes. As they cool, they'll have to work harder than ever, and will cost you unnecessarily large costs on your utility bills. As crawl spaces flood or maintain high humidity levels, mold will begin to grow on everything organic in the space -- including wood, stored items, and components of fiberglass (resins, dyes, paper backing, trapped particles, etc.). It can also grow directly on the dirt that makes up the floor. If this mold continues to go unchecked, it will damage insulation and weaken structural wood -- including the joists and girders in a crawl space. Over time, this damage may cause the structure to sag downwards. As it does, floors will become uneven and "bouncy", a musty smell will rise up, and interior doors may jam or stick. Finally, as the floor is pulled downwards, walls that are attached to that floor will be pulled in half, creating cracks in drywall. These symptoms may also occur if the supports are built on weak soils. As supports sink into the mud, your home sinks. A crawl space offers moisture, food, shelter, and a consistent temperature year round. This makes them the ideal home for a wide variety of pests -- including termites, carpenter ants, cockroaches, mice, rats, snakes, wood-boring beetles, and more. Once in the home, they will nest in insulation, destroy wood, create a potential fire hazard, and add harmful allergens to the home environment. The key to controlling these pests in your home depends on eliminating as many of their life essentials as possible. By sealing, insulating, and dehumidifying a crawl space, you eliminate their entrance points into your home, and remove the life-sustaining moisture that otherwise keeps them living and breeding. Moisture-laden air can find its way into an unsealed crawl space through rim joist joints (shown here). It then cools & condenses – leading to ruined fiberglass insulation & unhealthy mold. We can provide you with a wide variety of patented, award-winning products that are made specifically for the crawl space environment. Our experts can upgrade your home's energy efficiency, as well as provide you with professional waterproofing, moisture control, and structural repair services. Dr. Energy Saver are the local experts for crawl space insulation and air sealing. Our systems can be quickly installed in your home -- with most taking a day or less to install. No matter what you need for your home, we have a warrantied solution that fits your home's specific crawl space needs. Having a more efficient crawl space can enhance the overall comfort of your home. The floors above the crawl space will remain a comfortable temperature, ultimately creating a comfortable environment for the whole living space. Crawl space encapsulation also eliminates the opportunities for mold and moisture damage, allowing you to utilize the full area of the crawl space for storage. The combination of crawl space products you'll want depends largely on if your crawl space is flooding and how much insulation you'd like to install. If your crawl space is also in need of structural supports, our SmartJack® system is compatible with any of these combinations. We can also provide you with our self-draining ENERGY STAR-Rated SaniDry™ CX Dehumidifier, or our Turtl Crawl Space Access System -- giving you easy in and out access to your crawl space. Our Basic Crawl Space Encapsulation System includes airtight vent covers, airtight access door, a clear cover for block wall openings, and our encapsulation liner. Our Energy-Saving package substitutes the encapsulation liner on the walls with our SilverGlo™ insulation, which does triple duty as wall insulation, a vapor barrier, and a radiant heat barrier. For maximum energy savings, our complete package also includes our durable TerraBlock™ Floor Insulation, which is protected by our durable 10 mil vapor barrier. Along with energy savings, a healthier home, and a better-preserved structure, many homeowners use a sealed crawl space as a storage area for lawn furniture and similar items. As an added benefit, the written warranty that comes with your completed installation is transferable to the next owner of the home, giving you a great edge, should you decide to sell. We'd like to offer you an appointment with one of our specialists for a free, in-house inspection and consultation. We have a permanent solution for any crawl space issues you may have! At Dr. Energy Saver, our experts work with you to create a warrantied system that meets all the goals you've set out to accomplish. Before we leave, we'll provide you with a free quote for crawl space repair that lays out your system and shows the cost in black and white. If you'd like a full home energy audit, our expects would be glad to help you with this as well! We can take a whole-house approach of the building's energy use, using our award-winning home energy software to identify which energy efficiency investments would be most impactful for you and your home. 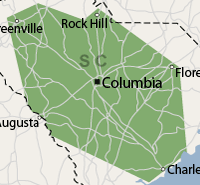 We proudly serve South Carolina, including Lexington, Columbia, Mount Pleasant, Simpsonville, Summerville, Charleston, Spartanburg, Florence, Sumter, Greenwood, Chapin, Aiken, North Augusta, Greenville, and many surrounding areas. Contact us today to schedule your appointment!